Hello and welcome to Creative Mondays hosted by Clairejustineoxox and Judy-H-JS Thought. A linky party where you can link up and share all your creative post each and every week…. Looking for a small handmade gift to make? I made this recipe up yesterday and was very pleased with them – they look sweet, taste great and don’t cost much to make…. with no baking involved!! Place some cranberries at the top and bottom of the Christmas silicon tray, sharing evenly between the 6 holes. In the middle of each place the almonds. Melt 100g of white chocolate in a microwave according to packet instructions and place a few spoonfuls on top of the almonds and cranberries until shared out. With a fork gently mix the chocolate with the almond and cranberries, not to much so the cranberries and almonds show through ( once turned out) but enough to hold them all together. Melt the remaining white chocolate and drip spoonfuls into the moulds so all the corners of the moulds are filled with chocolate, spoon any remaining chocolate in the moulds. Once cooled place in a refrigerator to set for a few hours. 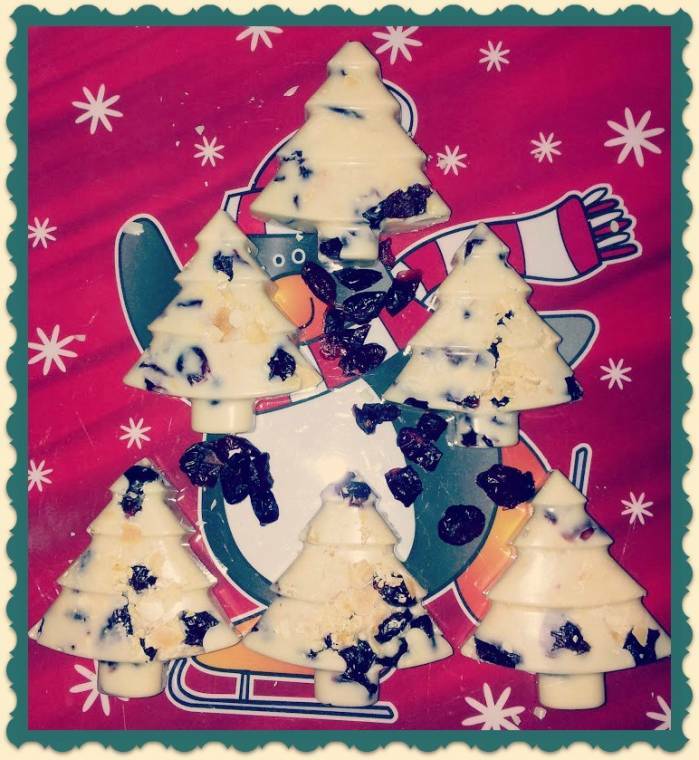 "California Prune and Armagnac Trifle …"
"Ready For Christmas : Wordless Wednesday Blog Hop…"
This is so cool and beautiful Clairejustine. It is great to be co-hosting again. Have a wonderful Monday. Very cute Claire, and I'm sure very tasty! I loooooooove white chocolateThanks for the party! 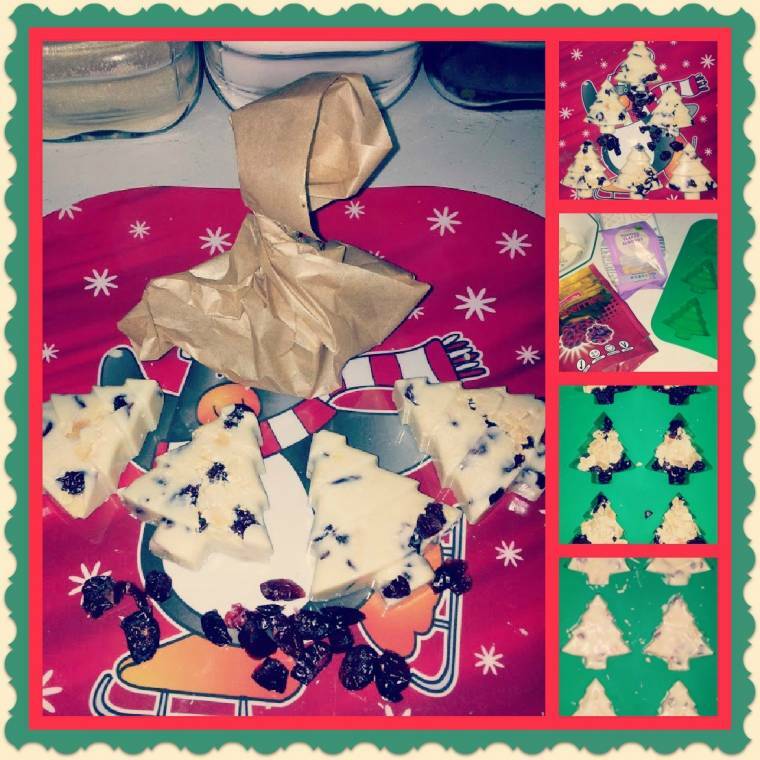 Yummy…you just can't beat white chocolate! Thanks for the recipe, looks fun to make and delich too! Thanks for hosting:) Hope your week is awesome!